Anxiety is a complicated combination of symptoms that can control a person’s lifestyle. Anxiety is marked by many symptoms including stress, increased heart rate, nervousness, worry and often a dramatic limitation in lifestyle. The symptoms may steer those affected away from their normal activities. Anxiety can be very difficult to treat. Medications do exist for anxiety, but these meds may not help or carry such side effects as sedation. Many anxiety medications pose the possibility of tolerance and addiction if one is not careful. There are a variety of treatments available to help those with anxiety that are safe. Medications are the first treatments used for anxiety. For many, these medications may help, but the medications in truth just treat the symptoms. Patients need treatments to help not only with symptoms, but also to truly overcome these symptoms. Exercise is a great treatment for anxiety. Exercise not only improves fitness, but it improves confidence and reduces depression. Exercise helps release natural feel good chemicals called endorphins and makes for a healthy and successful antidepressant. Meditation has been shown to be very helpful with anxiety. Meditation helps train the mind to move away from the stressful thoughts that can consume a person’s concentration. Books, videos and local instruction classes would be a good way to start. A combination of both meditation and forms of exercise are found in yoga or tai chi. Yoga and tai chi are combinations of stretching, focused breathing and relaxation that are wonderful to aid with stress or anxiety. These exercises may actually be some of the safest and most effective long-term treatments for anxiety. These again can be started with a beginner video or through local classes at a fitness center or health group. Acupuncture is another tool that has been shown to be helpful for anxiety. It can be done in conjunction with other treatments such as yoga, supplements or even medications. Theanine is an extract from green tea that is helpful to calm the mind. It is not as strong as prescription drugs, but not as sedating either. Fish Oils (omega-3 fatty acids) in doses of up to 3 grams a day has been helpful in anxiety. 5-hydroxytryptophan (5-HTP) is the precursor to the neurotransmitter serotonin. Many antidepressant medications work by increasing serotonin. 5-HTP works to increase serotonin by supplying its precursor. It is typically effective at doses of 50 -200mg. 5-HTP should be started at a low dose and titrated up as needed (if symptoms still persist) 1-2 weeks at a time. Vitamin D has been shown to be helpful for those who have anxiety that is worse in the winter. Several herbs have been used for anxiety in medicine for centuries. These options include rhodiola, valerian, passion flower, kava and lemon balm. Research is limited on these herbs, but clinically many patients find them helpful. They are typically tolerated well. Passion flower (500mg) has been shown to be helpful prior to surgery and a combination of lemon balm and valerian were helpful for anxiety. Kava has centuries of use in Polynesian culture as an herb used in ceremonies for relaxation. Kava has been shown to be helpful for anxiety, but it also has a history of liver issues. This has been most likely due to poor quality of the product given the safe use for centuries in other cultures. Nonetheless, I have seen it affect liver tests, and it should be used with some caution and not be combined with alcohol. Lastly, diet will always be a part of the treatment for anxiety. Refined sugars can have a very negative role on the body. Replace the sweets, soft drinks and junk food with more fruits, veggies, healthy proteins and nuts. Several years ago researchers found cutting out refined sugars was helpful for anxiety. Unfortunately, the amount of sugar has only increased in our diet. Artificial sweeteners, colors and caffeine may also aggravate anxiety. There are many simple and safe treatments available to anxiety symptoms. Those with anxiety often feel trapped and commonly hopeless in their quest for a treatment. Yet these simple treatments are often the best, leading to lifestyle changes that benefit the anxiety and the rest of the body as well. Kabat-Zinn, Jom, Ph.D., et al. 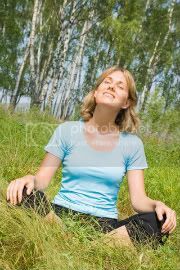 Effectiveness of a Meditation-Based Stress Reduction Program in the Treatment of Anxiety Disorders. American Journal of Psychiatry, July 1992;149:7:946-943. Miller JJ, Fletcher K, Kabat-Zinn J. Three-Year Follow-Up and Clinical Implications of a Mindfulness Meditation-Based Stress Reduction Intervention in the Treatment of Anxiety Disorders. Gen Hosp Psychiatry, 1995;17:192-200. Buydens-Branchey L, Branchey M. n-3 Polyunsaturated Fatty Acids Decrease Anxiety Feelings in a Population of Substance Abusers. J Clin Psychopharmacol., 2006; 26(6): 661-665. Kahn RS, Westenberg HGM. L-5-Hydroxytryptophan in the Treatment of Anxiety Disorders. J Affect Disord, 1985;8:197-200. Exercise: Not Just For The Healthy", Carlucci, Daniel, M.D., et al, The Physician and Sports Medicine, July 1991;19(7):46-52. Mariott, Peter F., et al. Seasonality in Panic Disorder., Journal of Affective Disorders, 1994;31:75-80. Movafegh A, Alizadeh R, et al. Preoperative oral Passiflora incarnata reduces anxiety in ambulatory surgery patients: a double-blind, placebo-controlled study. Anesth Analg. 2008 Jun;106(6):1728-32. Kennedy DO, Little W, et al. Anxiolytic effects of a combination of Melissa officinalis and Valeriana officinalis during laboratory induced stress. Phytother Res. 2006 Feb;20(2):96-102. Gibson D, Bruton A, et al. Effects of acupuncture as a treatment for hyperventilation syndrome: a pilot, randomized crossover trial. J Altern Complement Med, 2007; 13(1): 39-46. Wang S-M, Peloquin C.The Use of Auricular Acupuncture to Reduce Preoperative Anxiety. Kain ZN. Anesth Analg, 2001;93:1178-1180. Pittler MH, Ernst. Efficacy of Kava Extract for Treating Anxiety: Systematic Review and Meta-Analysis. J Clin Psychopharmacol, February, 2000;20(1):84-89.